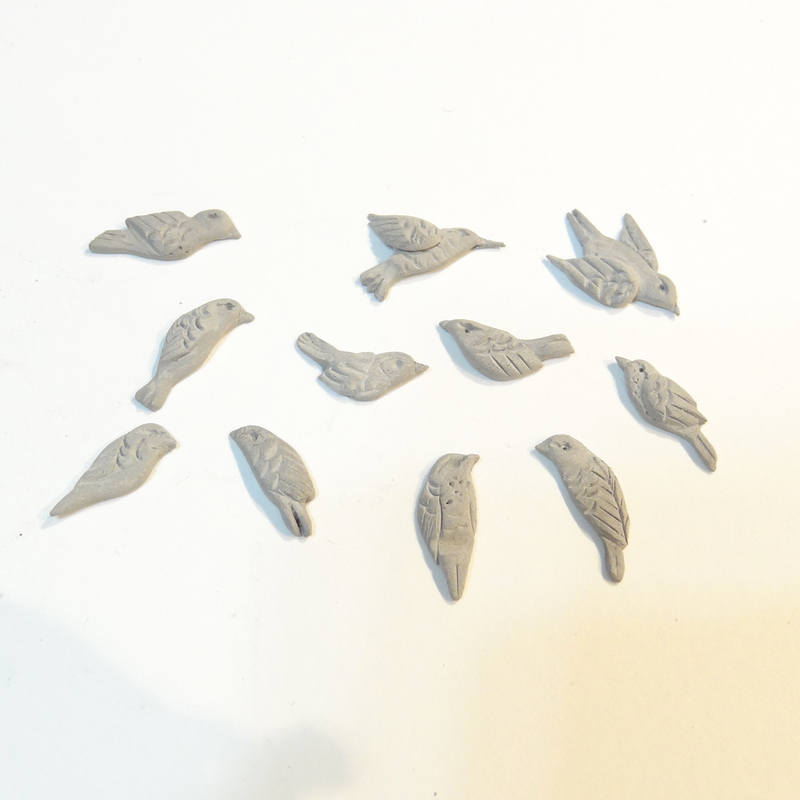 It's interesting to sit and make bird after bird by hand from metal clay. Detailed observations are required. What poses look natural? How do I fit enough detail into a tiny half inch bird with just my fingers and a few simple tools? Which details are crucial; which can be omitted? Simplify, simplify, I repeat to myself. The first few birds often feel awkward (the four on the left above were the first made on two separate days). There are always a few birds that I like more than the others - they have better form or expression or detail. Now I have the beginnings of my flock, and I must decide whether to actually move all forward to the metal stage, or set aside the less than successful to reconstitute. I have a nagging feeling of a mother choosing amongst her children, but I guess that's the beauty of molding - I can keep only the best.